Help clients develop the emotional, social, and life skills crucial to recovery and a healthy, balanced life. New mobile app provides daily meditations geared toward helping people manage their mental health symptoms. 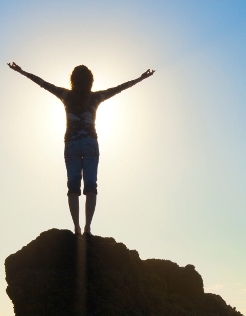 Overpowering, negative emotions can derail efforts at achieving sobriety. A few therapy-informed techniques can help you stay on course. A longstanding tradition in the addiction recovery community, peer support groups also help people with mental health disorders. Research findings now illustrate their benefits. The new app offers videos, recovery tools, and instant access to sponsors for people moving from active treatment through the early stages of recovery. Traditional Twelve Step programs provide benefits for people with co-occurring disorders. 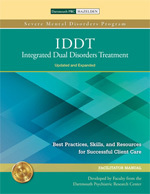 Integrated Dual Disorders Treatment contains nearly a decade of new research.